You’ve probably heard the term ‘IKEA Hack’ – when someone takes a product from IKEA and gives it a fun makeover. 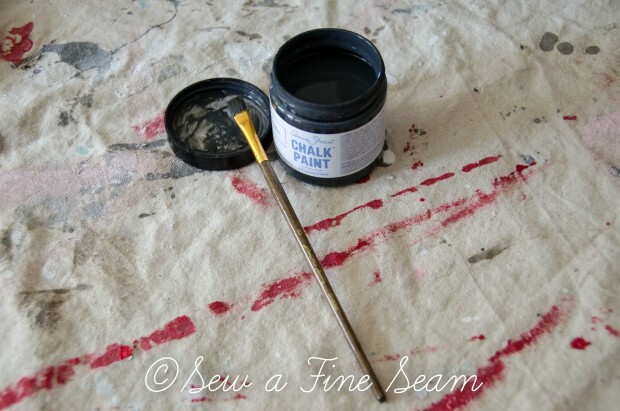 I just did a bit of a ‘hack’ but it was with a purchase from Decor Steals instead of IKEA. 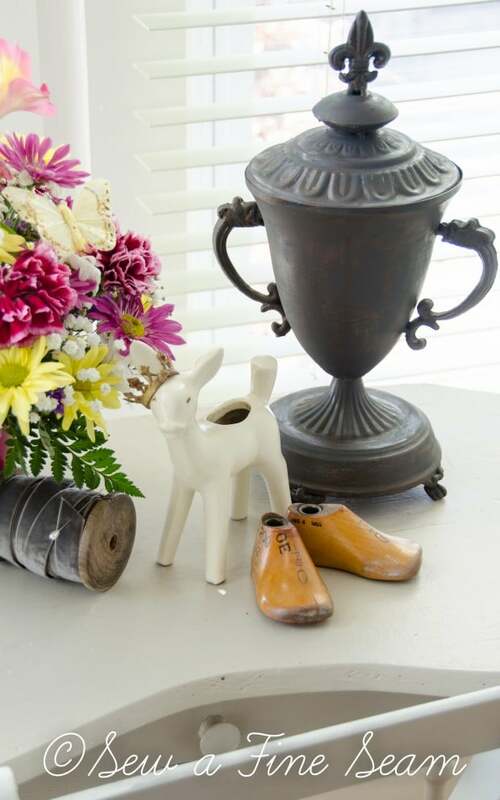 Would you like to see my Decor Steals Hack? 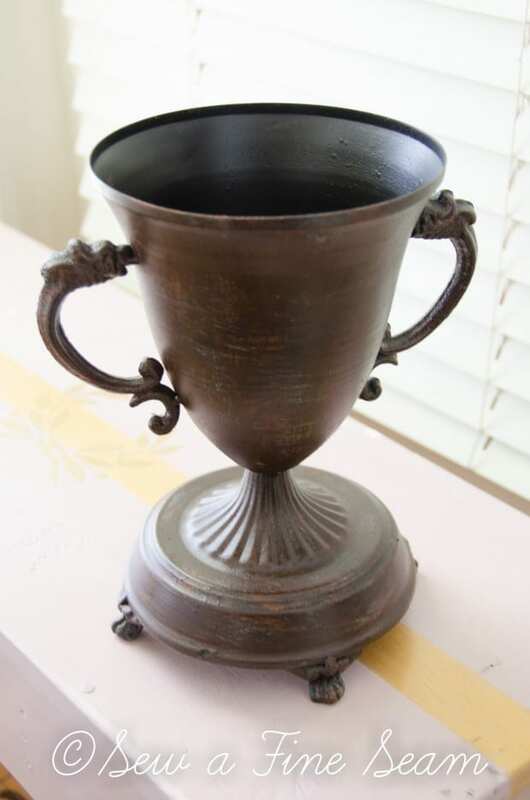 This reproduction trophy cup from Decor Steals arrived on my doorstep last week sometime. It didn’t look just like this then though. It looked like this. Not a lot different but enough. I was a bit disappointed in it actually, it was more brown than I thought it was going to be. Trophy cups are silver or grey or black – at least that’s what I think of when I think of a trophy cup. Not brown. 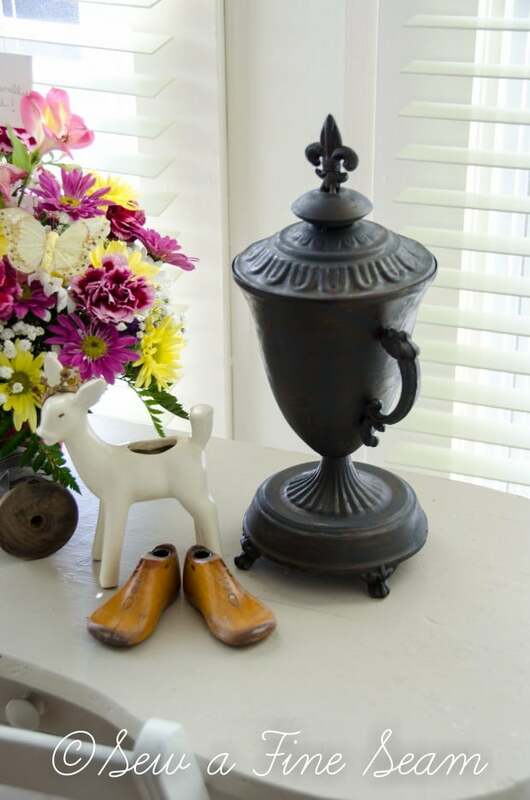 I was in the middle of garage sale stuff at the time so the trophy cup just sat on the table. After the garage sale was over I pulled a few things into my dining room to paint. 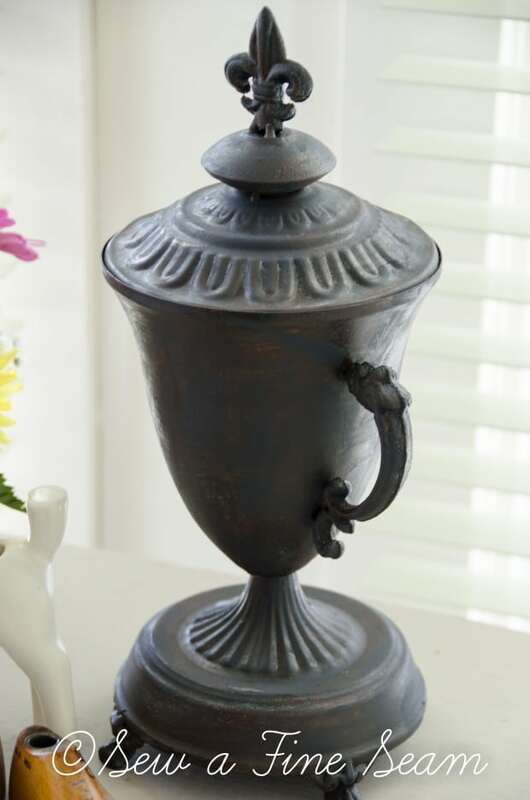 I had my Graphite chalk paint out for my Side Table Makeover and somehow the trophy cup decided Graphite would be a great addition to its patina. I think it looks much better now. I used my artist brush and randomly applied the paint wherever I wanted it. The coverage of the paint is not complete, it just knocks the brown color down a bit. Gives it a bit more of an authentic look. 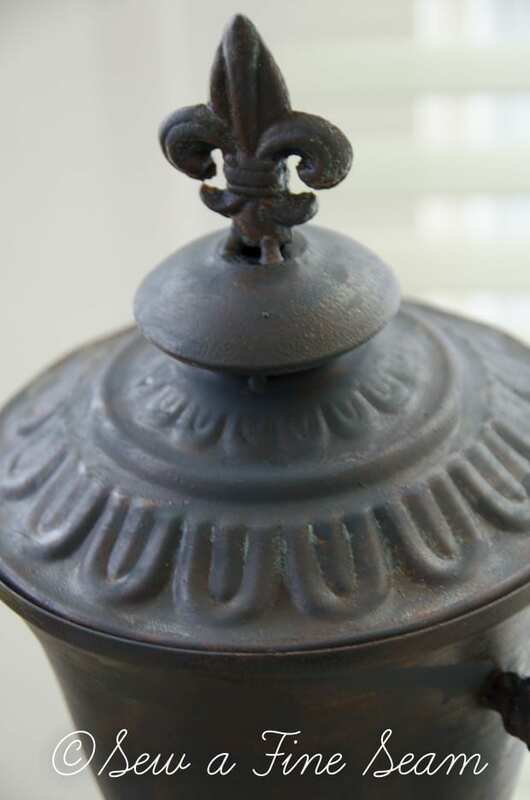 I’m also considering adding some Milk Paint to the mix – I have some in the color ‘Trophy’ that I am itching to try on something. When I mix some up for a project I’ll add some to this and see what happens. 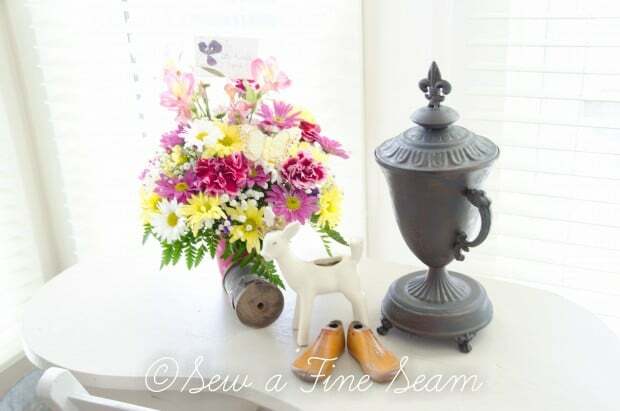 And I’m still enjoying the flowers that were sent to me on April 1st! Still don’t know who sent them. And can I just say I can’t believe it’s Thursday already?! Where did this week go?? I like the new look you gave it! It kind of looks like iron now. That cup has such a pretty shape to it. That is so strange that you don’t know where the flowers came from! I’m sure you’ve called the florist to try to find out more. You must have a secret admirer. Thanks Kelly – and the flowers are from a friend I’m sure – the card said ‘it’s finally April’. Someone decided to brighten my day! Not sure who though! looks like you did a major transformation with imagination and a dibble dabble of your artists brush.